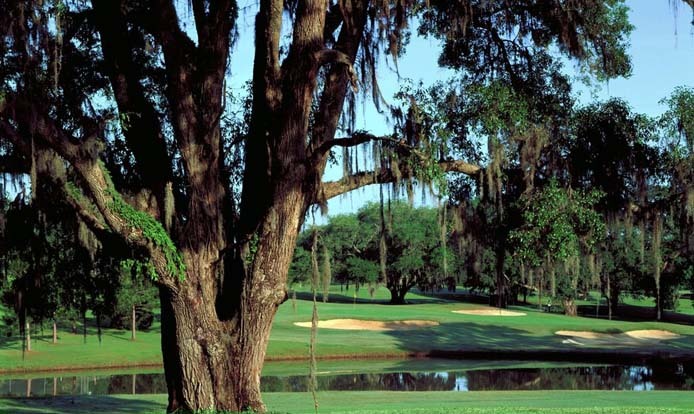 Killearn is probably the best known golf course in Tallahassee, certainly to those old enough to remember the many tournaments the facility has hosted: 21 Tallahassee Opens and four LPGA tournaments. The south and east courses making up the original holes designed by William Amick and have hosted all the Tallahassee Opens and LPGA Events. There are some very nice elevation changes, up to 70 feet — rare in Florida, though not necessarily in this part of Florida — with sloped and banked fairways that dip and climb. One of the beautiful views on the course are the huge live oak trees bordering several of the holes.